America unfortunately still glorifies the Silicon Valley tech entrepreneur that goes from nothing to being a billionaire. And while you know, maybe appealing to some people, it’s not reality for most people. And I think most people stop and examine their life, particularly the type of bootstrap founders that Tyler and I get to know all the time. What they really want is some, you know, financial independence. They want to not work for somebody else. They want to have the freedom to choose who they work with what they work on, and to live a little bit better life than they have today. The startup investment landscape is changing, and world class companies are being built outside of Silicon Valley. We find them, talk with them and discuss the upside of investing in them. Hello, hello, hello and welcome to the upside podcast, the first podcast finding upside outside of Silicon Valley. I’m Jay Clouse, and I’m accompanied by my co host, Mr. working from home himself, Eric corner. Jay, as you know, I am oft on the road. People don’t say often enough, by the way, I always say often, but often just has such a nice little flavor to it. Ya sound like a jerk. All right. I’m often on the road. And that means that my job is pretty flexible, which means I am oft working at home and not in a cube in New York, which is a whole different perspective. Which means that your co workers are front of the podcast Colleen and front of the podcast. Hank! That’s true. It’s the first job I’ve ever had where I have to regularly feed my co workers. I love remote work. I have only no that’s not true when I was working at cross checks now all of us working in the office but first startup Tixers was completely remote in now I guess I’m remote. I just don’t have an office. You have an office. It’s just your studio apartment. There’s a nice bookshelf that separates your bedroom from your office. I just realized yesterday that I can refer to my podcasting studio simply as my studio, which is true and more senses the one studio apartment, podcasting studio. Is that what the word double entendre means? Did I just make that up? traditional venture capital fundraising model, a lot of people call it the boots, trappers movement, or you have zebras unite, or there’s a couple other players in the space. It’s smaller, but definitely making some noise. And I think it’s so much fun when we get to have people like this on who are kind of running counter to everything you’re reading about in the Wall Street Journal, or TechCrunch. Yeah, Ernest really only got started late 2018. Similar time frame to tiny seed with Rob walling. It’s wild to me that in exploring these alternative financing models we’ve talked to, or we will have talked to the majority of people innovating in that space and offering these these different instruments, because there’s just not that many of them. And they are also relatively nascent. I would push back on that a bit. There’s not that many of them that are talking about doing it. There may be more that we just can’t see or find. They’re doing it behind more of a veil. salt water, I think is doing something similar out of San Francisco. Yeah, so not a whole lot. And pretty early on. So excited to chat with Tyler and Kevin here. If you guys have any thoughts on this episode, as we go through, we’d love for you to tweet at us at upside FM, or email us hello@upside.fm. We’ll get into that interview right after this. Tyler, welcome to the show. Hey Jay, thanks for having me. And Kevin, welcome to the show. We have kind of a dilemma here. Usually on upside, we start with the background of the guests, but today we have two guests. So let’s start with one of you. Kevin, can you tell us about the history of Kevin? Well, the history of Kevin’s a bit of a long story, because I’ve got some gray in my beard. So let me just do the last several years. I’m the co founder and CEO of a company called sure swift capital. And we already holding company we acquire and operate small technology companies. And Tyler, can we get the history of Tyler? Sure. Similarly, I have a tough time sort of compressing it into a short snippet these days. Generally, I tell people my mo has been sort of trying stuff I don’t quite know how to do so I’ve had a background in finance for a while taught myself to code in a freelance programmer. Then became a founder of which SaaS business sold that business and and now I run or is capital, which is a early stage fund investing in general. So we have both of you on, can you maybe for the listeners lay the landscape a bit. How do you to collaborate and work together? Like why do we have both of you on? Tyler, having a founder launched software company, he has kind of a different experience that he it’s better for him to go into. But I think we shared common frustration of the status quo. I think we shared a common vision for a better future. And fortunately, Tyler, you know, grab that idea by the lapels and ran with it. And I was fortunate to just be able to play a role of investor and advisor, while Tyler’s taken the operational aspects of it. And Kevin Sure, Swift is relatively new itself, you’re in Minneapolis, it’s a mostly remote company. Can you catch us up to speed on when shirts have started and how that business got going? Yeah, sure. Switch started about four years ago, and it was actually launched in Victoria, British Columbia, where I lived at the time, myself, and for partners, you know, had a relatively simple thesis that we could acquire profitable internet based businesses and operate them with the intent to never sell them. So we’ve created a portfolio of, you know, currently 26 companies that were operating all digital, and you’re right, we have a remote first approach. So it’s me and two other people in the Minneapolis, St. Paul area. Other than that, we have 80 contractors and employees in 14 time zones around the world. And what was the impetus of that vision that you and your co founder had, why it wasn’t something that was common at the time, because it’s still not common. Now? What was the moment that made you guys say, you know, I bet we could acquire these internet based startups and profitably run them without changing the team, almost almost the Berkshire Hathaway model. Yeah, I I really don’t like using that comparison, because I feel like only an egomaniac would compare themselves to Berkshire Hathaway, I certainly don’t. But they are an example of a holding company where they don’t intend to sell on a much smaller scale. My partner, my original co founder, Don was looking at companies that that did exist and have existed for some time, there may be less well known than Berkshire Hathaway. But companies like constellation software, internet brands, I see, these are all roll ups of either websites, or software companies or both. And so it was it was really his vision. We happen to collide, where I was at a point in life where I’ve, I had spent 15 years at a very large, very hard charging enterprise software company, and was just ready for a bit of a change. And it always wanted to own my own business. He had the idea and convinced me that it made sense, I had the background of operating large teams and a portfolio of business interests. And so you know, timing was good for both of us to to launch into Yeah, what wasn’t really a common idea at the time. But it also isn’t rocket science. You know, we’re not inventing some some new product or some new technology that has to be proven. You’re taking can proven businesses and just try and operate them the same or better than the founder said before. Tyler, Kevin said that earnest capital needed to exist. Why does earnest capital need to exist? Yeah, I mean, I would say that, you know, this challenge is a is a pain point that I personally experienced very vividly. And as I’ve talked to a number of other kind of bootstrapped founders have heard again, and again and again, which is if you go to so I just got back from Kevin, I just caught up at a at a conference filled with bootstrapped founders. And when you talk to folks who are let’s just say, all reasonably successful operators that bootstrap businesses that they started between five and 10 years ago, and you ask them about the early stages, you know, my personal story is it was incredibly difficult IP dead I think about $50,000 in credit card debt. I was googling personal bankruptcy for the first time in my life wondering if that was like a thing that I should actually explore. I ended up you know, like basically fleeing New York to go live in Southeast Asia and live super duper cheaply, so that I could sort of dig my way out and have the kind of bandwidth to grow this tiny little business that was doing thousand dollars a month in revenue into something that was ultimately a really successful outcome for me, but it was really hard. And, you know, $50,000 is a lot of lot of credit card debt is really stressful. And when you go and talk to successful founders, you hear that all the time. 99% of them say something crazy about massive amounts of credit card debt, living in your parents basement, you know, businesses dangling by a thread until your uncle writes you a $15,000 check that bails you out. And it’s just all pretty chaotic. And so it was a pain point I knew a lot of founders could deal with and then you start to think about for how many other potential founders is this just a filter, they never even start or or that’s what you know, you know, kind of kills the dream, you know, super early on that they just don’t have that line of credit. So they just fail, or they have financial dependence, whether it’s, you know, a spouse and kids or, you know, you’re paying for other family members health insurance, or you just have, you know, very substantial negative net worth as a kind of broader family, and the thing and you just never even consider the idea, he would burn through all your savings, and then some on a business idea. And and the only option, if you didn’t want to do that was to go the sort of traditional venture route, basically, the only play you had, if you were someone who needed a bit of capital to get started was to raise venture capital. And, you know, it’s a reasonable solution for that narrow problem. But you’re signing up for this whole other host of things that may not fit your goals and priorities and what you want for your business. And so it was just something that I felt like, you know, there was huge sort of pent up demand for with something that would create more entrepreneurship in the world. And just I felt was effectively a good thing. The problem is, you know, building a fund is hard, it’s not really something you can bootstrap, you really need some of the right confluence of opportunities to get that snowball rolling. And I was fortunate enough that, you know, I, I sold my business and in one fell swoop sort of got the personal capital, I needed to do the process of starting to find which people underestimate just how much it takes not just in terms of the check, you have to write, but in terms of having to go you know, two, three years without a salary, having to fly yourself around doing fundraising, all that sort of stuff. It’s, it’s really expensive. It’s nothing you can do on the side. And then you know, you always also need a sort of anchor investor, someone to sort of step up and say, be the first person to take on that risk. And that’s about half the work is being able to do it yourself and having one person step up and say, Yeah, I will be the first one in Kevin and I found that, you know, both that in one kind of fell swoop where after he acquired my business, we had a really good working relationship. We were trading back and forth ideas and just sort of felt like the opportunity was there to make this happen. Can you talk about what is driving the debt of these bootstrapped founders? Is it their own personal burn? Are they hiring people, what typically is a journey for why these founders are taking on a mountain of debt until they get to that break point? most of the time, it’s it’s just runway, it’s just about, you know, so there’s this really famous talk about the the long, slow SAS ramp of death, which is just that, you know, when you’re building software companies, they can become these really powerful, awesome business models with recurring revenue, and very predictable and high enterprise value and good sale multiples and all that sort of stuff. But the very beginning, you’re just eking out, you know, month after month, it’s just going up just a little bit at a time. And as a founder, you just need to sort of create the runway for yourself first to, you know, to realize that you’re not going to nail the product right out of the gate. So you may have to sort of iterate and build and you may need to, you know, ditch it and try something new. And that may burn up six months of runway. And so if you only had 12, you’re done now you don’t have enough time to launch and get to that sort of break even point at that point. So so it’s mostly found a runway. Another common story that I hear Jay and I know Tyler’s seen this from a lot of different founders is the the future business that they care deeply about is actually a side hustle. And they either have a full time job, or they are running a consulting or freelancing business themselves to pay the bills. And so, you know, the the mountain of debt, fortunately, is not, in my experience is not the more common story, it’s the story of what I really care about is this thing over here. And I think that’s how I might be able to provide some financial independence for me and my family. Yet, I’m spending five hours a week on that, and spending most of my time on something that I don’t care about, and really has no future for me. But it has to, to pay the bills. And I also see a lot of founders who care deeply about their their new venture, their new project, and they just right away start raising money because they want to quit their job and they want to do the thing, the new thing full time, which is great. And it’s admirable. And just like Tyler, I celebrate entrepreneurship, but I want more of that to happen in the world. But that short term need for just a little bit of money to pay the bills, and for me to live on, unfortunately puts people on a venture path that often they I think a lot of founders don’t really know what they’re signing up for over the long term by taking that early seed money from anybody other than friends and family. What percentage of bootstrapped SaaS founders are engineers or technical in nature actually building the product themselves? I think if you look now at the companies that are, let’s say, have some degree of success that have hit product market fit and are sustainably operating, it seems like a really high percentage of them are technical co founders, at least one of the founders was able to build the first version of the product in my instance, I mean, I’m, I’m a terrible engineer at the time, but I was able to get a working product and then you know, get to a pointing revenue where I could quickly hire someone who knew what they were doing. But yeah, it’s very high. But I think that’s reflective of the fact that five to 10 years ago, the cost of engineers was really, really high. And there was a really substantial scarcity of folks. So it was a really challenging thing to be able to hire sort of technical co founder for anything other than, you know, trying to get into Y Combinator or something like that. These days, I expect that will change going forward, maybe not substantially, I still think most of the founders that we see, again, have someone technical on the team, or they’ve managed to figure out some way to have something like that. So they have an engineering firm that’s working with them or something like that, it’s still really challenging at that very early stage, to be paying market rates for a freelance engineer, as you’re just trying to iterate and kind of get to product market fit, but it’s doable, but I would say still substantially technical co founders. Kevin, I want to jump back to something that you brought up, which is that founders don’t know what they’re getting themselves into, if they take anything that isn’t friends and family money. So what our founders getting themselves into if they take institutional money up front? Well, I guess it’s painting with a broad brush, because there’s lots of different types of investors. And in a in an ideal scenario, any investor, whether angel or venture or or even friends and family are going to sit down and have an honest conversation with the founder about, here’s what the future looks like, from my perspective, does that align with what the future looks like? From your perspective, unfortunately, there’s a lot of money sloshing around in the venture space. And there are a lot of really smart and talented people in the world that want to launch new companies. And I don’t think that conversation happens as often as it should. So in the in the normal case that an angel investor or certainly a seed venture investor, expects that there will be a next round of funding, and you’re going to grow fast enough to raise that series A and then at some point raised a Series B. And you know, everybody’s looking for, you know, 10 x returns. But if you actually pencil that math out for the founder, that means selling more and more and more of your company, and you’re signing up for what often are unrealistic growth rates. And, you know, a little bit of a pause to stop and think like, is that really what I want? You know, the I think America unfortunately, still glorifies the Silicon Valley, tech entrepreneur, that goes from nothing to being a billionaire. And while you know, maybe appealing to some people, it’s not reality for most people. And I think most people stop and examine their life, particularly the type of bootstrap founders that Tyler and I get to know all the time, what they really want is some, you know, financial independence, they want to not work for somebody else. They want to have the freedom to choose who they work with what they work on, and to live a little bit better life than they have today. So there’s a lot of gray area between not having a company working for somebody not being financially independent. And being a billionaire. And I think what we’re targeting is that massive gray area of outcomes for founders and more importantly, reasonable outcomes for businesses, it is really hard to find a business that can turn into a billion dollar enterprise. Unfortunately, they are so glorified, you know, we hear there’s going to be 20 IPOs, coming out of Silicon Valley in the next quarter. But people don’t talk about the 20,000 businesses that have failed in the last several years that everybody wanted to be the next unicorn. So you know, it’s not true of all venture, I have friends who are venture capitalists who do things the right way. And they have either reasonable expectations, or they they make sure the founders know what they’re signing up for. But I think the they are the exception rather than the rule. Well if we’re being really honest, like I think we’re on we’re unfairly painting founders is the misinformed group in this scenario. And actually, I think there’s some really smart founders who know they don’t want to build the next Facebook, they just want to quit their job and work on something they care about. So they do they craft the story that VCs want to hear, which is, yeah, I can grow this to be a mammoth company. But in the back of their mind, they know me, maybe not, but this is what I need to do to get the money. And right away, you’ve got misalignment of expectations and outcomes. So I do think it you know, unfortunately, VC is a game that that people play both directions. And every once in a while it works out. But all too often, I see it not working out. And that’s one of the reasons why I thought something like Ernest needed to exist in the world, if if for no other reason, just so that people recognize there are different ways to build a good company, and maybe change the conversation about what a good company is, or even what a great company is, because Tyler built a great company. I don’t acquire bad companies. And you know, as far as I know, never hit the cover of TechCrunch that he built and sold this really great company. And now I operate it and I love it. And it just flies under the radar and 99.999% of the population has never heard of it and will never hear of it doesn’t mean it’s not a great company. is a good question. And 10 seconds of googling will find a sort of magnum opus on the topic, I wrote like a 10,000 word peace about why I sold my bootstrapped SAS business. But I mean, the upshot of it was that I felt that, you know, I wanted to sort of just kind of level up into something a little bit riskier, to be honest, you know, I felt like it was great, it it sort of served its purpose for me, you know, like exactly those motivations is Kevin was describing earlier, we’re what got me into wanting to build my first business was to just reclaim control over my time to decouple You know, my income from just kind of our early work, and to also give me kind of location independence. And, and we took advantage of that. I mean, I, I spent of those five years, I was running my business, I spent probably three as kind of a digital nomad, backpacking, traveling around my then girlfriend, now wife, and I were able to take a year of just traveling around the world together while I was running the business growing the team, you know, kind of getting myself out of the day to day, and I really enjoyed that process. And I had this sort of hunch I, you know, I wasn’t exactly thinking that I would start earnest. But I thought, you know, it was, it was a couple things that I could do with the the kind of lumps on capital, rather than just kind of continue writing the business. And I also felt like, increasingly, the opportunities for the small team that I had built were that they’re just work sort of upward opportunities for them. And that’s something you you hit a lot in kind of smaller, bootstrap businesses is that you’re really talented people who’ve been working with you for a couple of years, and there’s just, there’s no way to promote them to is nowhere to even sort of try out something different, you know, like to go work on a different product or something like that. And so I want to sort of create those outcomes for them, which has been the case in some issues with the whole team is still there. They’re continuing to still, you know, do great work. And they found a lot of opportunities. But yeah, at the end of the day, it was about, you know, just sort of finding a better home for the business and trying something new. And Kevin, you mentioned a couple times a year operating that business now, just as a look into Sure. Swift. What’s the process of you bought Tyler’s company? Now you’re operating it? What was the steps? And what does it look like? Now? How do you operate this without the founder? Well, someday, I hope to publish a magnum opus on our process, because I get that question a lot. But you know, rule number one is just don’t screw up what’s working, we only acquire successful profitable companies. And so we don’t want to mess up what the founders had had going. So we typically ask founder to do a bit of a transitional period, you know, three, six months, whatever is appropriate for them in the life circumstances, as well as the business itself. Because in in the best cases, and Tyler’s was one but you know, almost all the founders we bought businesses from, they want their business to succeed after they’re gone. And they are willing to invest some time and energy and making that happen. And so we took over the operations, the business, there’s some boring mechanics of just transferring all the dozens of accounts that are required to manage any business. But then quickly, we move into getting to know the team sitting in on some of the operational conversations and meetings, learning about the customer base, we spent a lot of time with the founder trying to understand, you know, why did you make these past decisions, not in a critical way, but just so we can kind of climb into their mindset and understand the business from that perspective? And then we’ll talk about, you know, okay, if you were to operate this business for the next two years, what would you do? If money weren’t a constraint? What would you do? Would you hire more developers? Would you hire more customer happiness people, you know, I see that you’re only paying this engineer for 20 hours a week of work is that because that’s all that’s needed, or because you wanted to take home a little more money, we have those conversations. And as we my really talented team of people get to know, the team running the business, we might have some ideas of our own, every single business that we’ve acquired, that came with a team, the team always has really good ideas that they either, maybe we’re afraid to share with a founder, or they did share with a founder, but the idea didn’t get executed for whatever reason. So we listened to those things a lot. And we look for growth opportunities for the business, certainly, but as tightly I mentioned for the team, so there’s a woman who was managing support, or what we call a customer happiness for Tyler, who’s super talented and was doing a great job. And she is now effectively running the business and doing most of what Tyler had been doing. Because his moving on from the business created an opportunity. And in the, you know, six months of early transition getting getting to know Iris, we found out that, wow, she’s she’s really capable. And we need to try to challenge her and give her more things to do. So that’s just one story of, you know, 26. And each one has some kind of interesting components to it. But the thing that were, you know, it’s not Tyler and I did not just remain friends, because we like hanging out together, it’s because we had a really effective and mutually beneficial business relationship. And so that laid the seeds for what we both expect will be an effective and mutually beneficial business relationship with artist. And the founders that I remain calm with. It’s all the same situation, they really invest the time and energy to help sure swift be successful with their company, after the fact. Tyler, how do you feel about the fact that your company is now being run by someone else? And by someone that you kind of put in place with Iris? What’s her name, I believe? Yeah, I mean, it’s fantastic, unequivocal, two thumbs up. It’s it’s a great outcome, you know, that’s the best possible sort of transition scenario you can ask for is that everything goes well, for the team. Everything goes well, for the customers, you know, the idea is that, you know, the business is going to say, as is forever, and hopefully get better along the same trajectory. But it’s, you know, you think about, you know, people buying these businesses to gut them and try to make, you know, try to make them as profitable as possible by firing everyone, that’s horrible outcome. You think about people buying businesses to sunset them, and screwing over all the customers? You know, that’s a terrible outcome. Yeah. I mean, I couldn’t be happier with what’s happened with the product for sure. I want to transition a little bit back to Ernest capital and your guys investments, Kevin said that they at least had it a couple times, now, they invest in profitable successful businesses, VC, in general, kind of invest in these boom, or bust businesses where it’s zero, or it’s a billion. That’s kind of the outcomes. I see you guys sitting in the middle, and that gray area that we talked about, but I want to hear kind of how you think about company failure, and what the rates are for companies that you invest in that fail. It’s one of those things where I would say it’s one of the central bets of what we’re doing. And also something for which there is almost no data, in the sense of, you know, there is a, there’s something approximating a data set, although it’s quite hotly contested for the failure rates of let’s say, See, venture funds, and you’ll get numbers anywhere from 60 to 90%, are things that that people will say, and, you know, it’s probably the fact that these are all, you know, private companies in the data is all self reported. And then, you know, everybody has a huge incentive to inflate their own success rate and all that. So it’s very unclear what the actual kind of benchmark is, but but our sort of basic theory is that the failure rates of the companies we back should be lower. And the reason is that, you know, I think venture capital, when you raise that first round, you’re sat down and said, Okay, you’ve raised your seed round, you need to raise a series A, and here’s what the market needs to see to raise a series A, right. And, and that’s going to be, you know, like, you hear the folks at Y Combinator, talk about 7%, week over week growth, right, there’s all kinds of these benchmarks that are like you need to hit this. Otherwise, in 12 to 18 months, you’re going to be out of money, and no one’s going to write you another check. And so that sets up a series of incentives, that to me all point in one direction, which is to sort of shift the risk curve in one direction, which is, you know, let’s go big or go home. Right, so let’s hire those engineers a little bit earlier than we think we need them. Because we think that that will increase our chances of, you know, hitting those growth milestones, lets, you know, customer acquisition strategies that maybe you’re starting to be not our most profitable, or our cheapest customer acquisition strategies, but they do get that growth rate going. Right. And so most of these early stage startups, they tend to, to sort of fail from, from working on from over investing in the wrong thing. And and I think that’s the incentive, if the idea is Look, you’ve got this check. Now, it’s a race to the next milestone. And our view is a work totally fine, because we really want to be the only round you ever raise. Now we don’t it’s not a rule or anything. And we put in all kinds of flexibility in our structure. So that if you decide you want to raise a big round, or you want to read it, I read, I can read all kinds of stuff is fine. But our sort of, you know, center of the bullseye is, we’re going to write a small check early stage to fund mostly your runway to kind of get to break even. And, and that’s going be fine, you build the business from there. And that lets the founder make trade offs that optimize sustainability, over kind of growth at all costs. And so our kind of basic bet is, hey, we might not get a unicorn out of this portfolio, but we will more likely have a sort of portfolio of singles, doubles, and triples rather than a bunch of strikeouts, and one or two home runs that are the sort of funding makers. So our basic that is that bootstrap founders fail a lot less frequently. And anecdotally, that seems to be the case. But there is no data set. You know, we don’t know how much survivorship bias there is, you know, we have nobody writes blog posts, but these days actually send people to write blog posts about their field bootstrap businesses, but it’s hard to collect that data still. As an LP, if I’m looking at you, or a venture capital firm, who’s in a similar kind of position, are expected returns similar with a lower failure rate? Or like, how does how does that play out? Because they have this kind of go bigger go home mindset. Okay, you have when you talk about this general area of discussion, you have to start from what I said before, which is that the data on the venture capital industry is both kind of ridiculous, and also hotly contested, right. So if your benchmark is how well you’re going to do against VC, and you look at the Cambridge data or the NVCA data and you say, Okay, well, the median venture firm returns less than one x their investors capital over the 10 years of the fun, you know, the, the average venture firm from seven years ago has still not even returned one x capital, and it only takes if you return two times your investor money, which is still pretty much like the same as stock market returns over 10 years, then you’re already in the top 20% of all venture firms. If that’s the point of reference, which is what the data seems to say, which is a lot more about the venture capital industry, and it does about our model, then the returns look great. You know, I mean, it’s really not actually a spectacularly high her at all, because you know, and the reason, I think, is that investing in early stage companies is is hard, you know, it is challenging. And so one of the things that we’ve tried to do is to say, Okay, let’s take it on faith that just, you know, picking companies very early stages is hard, what we try to do is say, we’re going to try to get good at picking. But also what we tried to do is to move that line for success kind of further to the left. So if you say the distribution of outcomes is going to be fixed, really hard, you say we want more of those outcomes to be successful for us. So if you look at the way that we’ve kind of set up our model, and you compare it to some bootstrap entrepreneurs, you have frequently, sometimes you’ll have one or two founders, and they build a product, you know, that’s built on an app store or something like that. And it’s just the two of them. And over the course of six or seven years, they grow it to where it’s making $300,000 per founder, and it’s still just the two of them. And this is just a just a terrible zombie in the portfolio, a venture capitalist firm, for us, we actually get a pretty good return on that we’re totally okay with with that kind of an outcome. And we structure it so that we’re aligned with that, so that, you know, whereas maybe even get the same as a venture firm, you know, but But actually, four out of 10 of those would be just outright failures, they would have said, I just return the money started over again, shut it down, go try something else, we actually get it a pretty reasonable return out of it. So that’s been our approach so far. you know who else gets a good return? The founders. And the employees of that business, if they ever grow beyond the two founders. And that’s something that always bothers me. But I don’t think people talk about enough as you know, UK venture has a one in 20 success rate, you know, they want one, or maybe two out of 20 to two out of 20 bets to pay off the whole fund. Well, what happens to those 18 or 19 other founders and their teams when they were told, go spend money as fast as you can hire as fast as you can get customers as fast as you can. And then as soon as the trajectory is not fixed, favorable for the next round. It’s a failure. So what unfortunately venture does is kill what could be otherwise profitable and healthy companies. And I don’t think that gets enough of the discussion. People talk about the the amount of money burned up, but hopefully the money that’s overcompensated by the few IPOs that exists, well, there’s timelines of careers that are built up, there’s, you know, the livelihood and the stress level of venture backed founders that get burned up in the process. And the there’s the early employees who, you know, take a bet with their own life and career on a funded startup, because they believe the myth that, you know, anybody can be the next Facebook and their timelines get burnt up, and their income gets burnt up, because they’re given equity in this rising company in exchange for the salary that they actually probably deserve. So one of the reasons why I wanted this to exist is not just because I think there’s a compelling case that it’s a sound investment. And it is, I believe it’s a healthier way to grow businesses, it’s a healthier way to incent founders who do have a good idea. It’s a healthier way to build sustainable businesses that will employ a lot of people, hopefully make founders rich, hopefully pay back earnest and myself and the other LPs. And to me, it just makes so much sense that I’m surprised that it hasn’t existed until now. Tyler, something I saw on the earnest website is you guys have a returns cap based on your your shared earnings agreement. If the founder has some level of success, you actually have a cap. But when you invest to my understanding of when we get this return, we’re no longer taking returns from the company. Am I understanding that correctly? A little bit. So the sort of double edged process that we ran, which is when I was first, kind of workshopping, this idea of a shared or Nancy agreement back in, let’s say, September, October of last year, I sat down on a whiteboard, essentially, even not, not literally, but I kind of surveyed the options out there for financing interest and just felt like there wasn’t anything that actually got us to this, this main objective, which is sort of Let’s be aligned with founders, right. So the north star has always been what would I want, as a founder, what kind of deal what I have taken? And all the many founders I found met over the years, what would they have wanted? And so I had a bit of a background in finance. So I said, Let’s, let’s just do this kind of from first principles and see what we come up with. And I started shopping this around talking to investors and said, hey, look, I think founders are really going to like this, I think this is very aligned with with the outcomes they want. And a couple of them said will How do you know? How do you know they want it? Okay, fair enough, I told, so let’s publish it. So I made the earnest website, I put up one blog post saying, you know, hey, here’s the kind of basic thinking behind this. Here’s the draft term sheet in Google Docs with the comments open, you know, and we put it up on indie hackers and Hacker News and on Twitter and everywhere, and I was sort of expecting a couple people to weigh in. But But actually, like thousands of people waiting, everything from hundreds of comments in line inside the Google Doc, it was turning into its own little, almost, you know, forum thread after thread on individual lines. And I got tons and tons of feedback on it. One of the central questions I asked there was, should this be fully kept, where there is a hard cap as it as a founder, you know, this is the maximum amount that you will ever pay, or should there be a sort of long term component that keeps us aligned, you know, all the way till the end, whether you keep the business forever, or you eventually want to sell it. And there was a resounding feedback from from both investors and founders for the ladder. So where we’ve ended up is that there’s essentially kind of two pieces to the investment. The first one is designed around aligning us with this kind of, you know, you build the business to a particular level of profitability. And as a founder, you want to start kind of taking some money off the table. So and this is something that you see, and it’s something that a lot of founders want is I want to build this business up to you to $5 million in annual revenue. And then I want to make up for the fact that I’ve been paying myself crap for the last five years, and I want to pay myself 300, 400, $500,000 a year in salary and dividends. And so what we have is a shared or needs agreement, which is, as you kind of generate that benefit for yourself, we get a percentage of that. So we’re like high five, that’s amazing, you know, keep keep that up, and that piece is kept, right, so So we say, look, at a certain point, you’re going to pay us back a multiple of what we’ve invested. And then you can continue running the business profitably forever, and not pay us another dollar. But we also have the kind of second component, which is essentially an option, if you ever sell the business, or actually, if you decide to go raise a big round of financing somewhere way down the line, we kind of get a piece of that. And it’s a small percentage, and it’s not kept. So if you do end up building the business and bootstrapping it to be a multibillion dollar company, we do get a, you know, a sort of substantially outsized outcome as well. And what that does is just keep us in the game, right? Because Have you thought about enemies, okay, once we get sort of 75% of the way towards our cap, are we going to stop really caring about this company, because we’re pretty much going to get there and it’ll be fine. Now, it’s like, you know, you’ve got earnest, you’ve got our whole group of folks who are who are mentors who are also invested in the Fund, which means they’re invested in your company, 11 years. So now you have a, you know, quarter billion dollar acquisition offer on the table, and you want everybody on a conference call to help you maximize that outcome, we’re going to be there. So that’s the reason for that. Jay, that touches on a component of earnest that I we haven’t really talked about it, which is the mentorship and accelerator component of it that Tyler’s better to talk through. 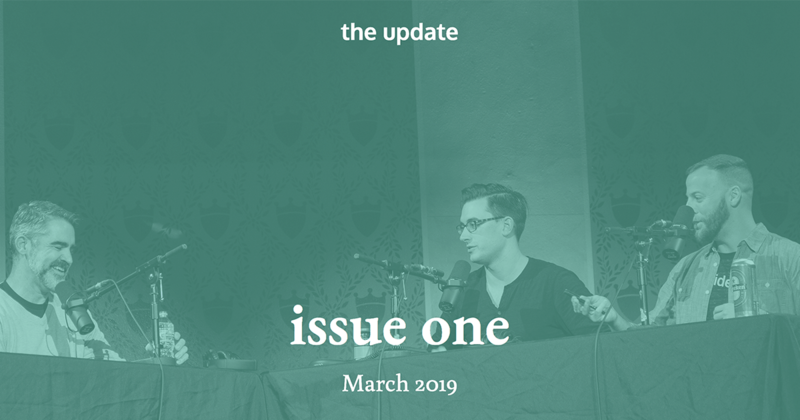 But when I talked to founders, that’s as important to them as some of them as the funding, because it’s we’re not just writing checks and saying, Hey, give me an update next month. Yeah, yeah. I mean, you know, this has been sort of it’s been both by design and necessity, that the fund Ernest is essentially composed of successful operators and founders, most of them sort of bootstrapped owners that have have either exited a business or built a really healthy sort of profitable business. And, and that turns out to be the right folks to back something like this, because they intuitively understand the risk profile here. But they’re also tremendously helpful. Every single person has said, Look, I don’t want this to be hands off thing, I want to allocate some amount of time, it varies, you know, by founders, some people are still operating very busy businesses, and other folks have, you know, had three or four exits, and they’re happy to spend a couple of days a week working on this kind of stuff. But yeah, there’s a there’s about 30 or so really experienced founders who are mentors. And early on, as we were talking to, I talked to probably two or 300 folks about mentorship because I really wanted to get that piece, right. And I said, Tell me about how mentorship when when well or went badly in your life from both sides of the table as a mentor and mentee. And it turns out, a lot of people have horror stories about men, Tricia. And one of the themes that I sort of found through those conversations was one, like, you know, it’s very difficult to sustain a mentorship relationship over time, and to the best version that seems to be in have skin in the game. Right? So you hear again, again, like people who get a mentor, they go through a local accelerator, they get the mentor assigned to them for three months, and then a year and a half later, they can’t get them to respond to their emails, or pick up the phone. And on the other side, actually, you know, when you have someone who’s actually invested in your company that tends to keep them on board. So we made a rule early on, which is, all mentors have to have skin in the game. So they have to actually be you know, a little bit at risk and, and long term, a part of this journey for you. And it’s been great. I mean, I get the dog food, the mentorship group myself, because they’re all my mentors right now. And I’m actually incredibly jealous of the founders who, who get access to these folks. I mean, they’re just really knocking down obstacles for me and have been tremendously helpful. As we’ve been watching it. I see on the website that you guys typically invest 75,000 to 250,000 was the first check deployed. And how many of you deployed since then? First check was this week? You’re getting the scope Jay. I love when that happens on upside. Congrats. So talk to me about that decision, what went into choosing that company? Well, I mean, frankly, we’ve gotten hundreds of folks who have actually applied, so we went ahead and put up an application form, I don’t love the idea of, you know, applying per se, but just, you know, I was, I was asking the same questions as we would email the end. And I would send them the same six or seven questions, which is, okay, let me put this form here. It’s the first seven questions I’m going to ask you anyway. So just let’s start here, and go ahead and send those through. And then we can skip through that we’ve had several hundred folks do that. And still another several hundred folks who have just emailed or been referred or intro by someone else. So it’s a pretty massive pipeline. And within that, I’ve been really pleasantly surprised to see how many of these founders are just directly on our thesis, because we really have a sense of what is the what is the current universe of people out there who are working at this very early stage. And it turns out, a lot of them are right, exactly where we want. So it’s folks from all over, you know, so we’re, we’re logistically able to invest kind of in it with a pretty wide range, invest in US, Canada, eu, Australia, New Zealand, all kinds of places, where patients from folks who are outside the major tech hub. And so that’s been really great, we’re getting a lot of folks who are right at that exact moment where the kind of capital we’re providing is, is really needed. So you’re at 234 thousand dollars a month in revenue, it’s growing fast, but you don’t have a lot of savings, or you have financial dependence or something, and you can’t just go full time on that amount of money, you’re still six to eight months away. And so we’re very happy to write a check to bridge you into that. And then we’re getting a pattern that I really love, which is folks who have a sort of career background and approach particular vertical that they now are applying software to. And so we’re seeing a number of applications like that. And so the first couple of checks that we radar like, exactly in all of those checkboxes, you know, that moment in time, that sort of, you know, trajectory there right there. And we’ve got, I would take quite a few more right behind them, we haven’t decided to do it in a sort of, you know, Y Combinator style batch kind of approach. But it’s going to turn into that because we’ve just got a just a lot of opportunities right now. And it makes sense to sort of deploy that fairly quickly, and then take a step back and see how they’re doing. Like something that was suggested by others? Yeah, like a lot like, one, turn the six out, like in your like, we just can’t do it for X, Y, or Z reasons. It was a lot of suggestions, I would say mostly more from investors and later stage founders to do revenue based financing. And I mean, the reason why we decided not to go down that road, is that I don’t think it’s a fit for the sort of very early stage companies in the sense that, you know, revenue based financing is not the sort of founder earnings based financing that we have aligns us with the actual founders decision making, where sometimes it may not be the best time, you know, a year later, to start taking money ran out of business, you buy an inflection point, you’ve got a customer acquisition channel that’s going really well, and it makes sense to just plow as much money as you possibly can. And maybe even as the founder, I’m gonna, I’m going to make some sacrifices and eat ramen for six months, because I, you know, we’re just crushing it on Facebook ads, and I can see the lifetime value, you know, of these new customers is great, but I’m kind of constrained for cash flow. And that’s, you know, a terrible time to start taking out a chunk of your revenue. So we’re basically fine taking that kind of timeframe risk and just saying, hey, look, you as the founder can make those decisions, my, my, every bit of sort of complexity that we added into the terms because, you know, I’ll be honest, like, we’re not exactly winning on the complexity side of things like a safe is really easy to understand or a convertible note. And it takes a little longer to understand our terms. And so why did we do that? For me, it was this continual process of making sure that we would have, you know, founders or experts or investors who would just read team, every possible situation. And in every situation, I didn’t want to say, what’s the best for us, as the investor on see how can we be perfectly aligned with the founder, we’re okay, like you, as a founder want to do this in this situation? How can we be like, okay, that’s great. That’s good. For us. It’s everything, all the numbers are moving in the right direction. If you’re making good decisions, as a founder, there’s no way you can be aligned with with poor decisions. And that can always, you know, hurt both the investor and the founder. And but it was just that process of saying, at every turn, how can we say? Yeah, I mean, that as long as you’re making the right decisions, we’re going to be along for the ride and not have our, our sort of investments diverged, for example, or our interest or verge like like one example, I’ll give an example that I heard a lot because I talked to a bunch of founders who were sort of in the kind of bootstrapped world, and maybe they had a success already. And so they were actually able to raise some money, just from not quite friends and family, but professional friends and families, other founders, stuff like that, there was kind of a wave of folks in the last kind of two to five years that they were able to raise, see 200 to 500 K, just kind of out of the gate to get started. And they weren’t saying, Hey, you know, this is a venture round, they just wanted to raise some funding, because they were sort of proven entrepreneurs. And a number of them did it. So just, you know, for just either equity or a sort of convertible note where they kind of raised that round, and now they have these investors that have, let’s say, plus or minus 10% interest in the business. Now we’re at that phase I was talking about earlier, right, where you have a couple million dollars a year in revenue, you want to just start harvesting out some profits. So they’re saying, hey, maybe you know, as a founder, we’re going to issue like a 500 k dividend, because we want to pay ourselves and the investors are sitting there saying, Okay, wait a minute, we have 10% of dividends. So for every dollar that you issue in dividends, nine, the sense of that is going to come out of the business, and into your checking account, or anti or wealth run account or something, and 10 cents of that are going to come to us, wait a minute, maybe you should just keep that whole dollar in the business and grow it like we would really strongly prefer that you do that. And that’s just kind of a situation where it’s like, okay, the interests are not aligned there. And that’s a pretty likely outcome. So why don’t we try to structure around that so that we’re happy with that. And so that’s kind of where we arrived at, say, taking a larger share of founder earnings, but then actually seeing it’s kept. Right. And so that’s kind of how we backed into some of those decisions. Is earnest investing out of a fire that is raised? You’re like this is fun, one of earnest capital, or is this kind of an ongoing, almost deal by deal sort of situation? Yeah, Ernest is a fund, we run the company on Angel list, super well known, but they have a product that runs that does the back office for funds. Yeah, we have capital that we deploy, basically, I’m the, the GP and I’m able to just do deals. It’s not it’s not a syndicate where, you know, we have an idea, and we take it back to you a bunch of investors, and then they all opt in on a case by case basis. This is kind of gets into my question, which is future casting a bit, we just signed our first check. But let’s look forward, what are the success metrics for raising fund to from a investor side, because you have this kind of time lapse thing? And there’s no next round for valuation? You can say, Look, I’m doing so good, because this these companies raised a series A so I’m curious to hear from Kevin, as an investor, what are you looking for, from Ernest capital, if they want to come out and raise a second round? Well, I actually think Tyler will be able to mark the current value of the portfolio, that will be based on real things like revenue and profit versus customer acquisition costs and customer growth, not that those aren’t real numbers, but it doesn’t necessarily translate to the, like, the actual value of of business. So I think, you know, Tyler mentioned earlier, we as a group, but in particular, he needs to be good at picking the right investments. And there’s a bit though there will be a lot of kind of discussion and subjective value put on those like, did, you know did he did fund one make the right number and quality of investments. And as an investor, I have a bit of an advantage and, you know, having, you know, acquired 32 businesses in four years, and I, you know, we still operate 26 of those and I have a little bit more of a clear view of kind of what works and what doesn’t, than the than the average LP and our LPs are all really smart, talented people who built their own business. So I think they’ll have a pretty sound view of that, versus somebody just writing a check into Angel fund or something like that, and a measure of success for me. And I’m not sure if this is what you’re asking Eric. But I think I’m thrilled with the LPS that have come together to launch earnings capital. And I’m surprised and impressed with the number and the quality of people who have invested in this idea, because I believed in it, but you never know if other people are going to and clearly other people way smarter than me. And with way more money than me believe that this is a good idea. So to me, that’s a good signal that said, I believe fun to will be or even you know, later fun one, a measure of success will be if LPs come from outside this sort of bootstrapping entrepreneurial community. And if Tyler is able to secure checks from what you would consider bigger or more institutional investors, the type of people who are writing checks into you know, more traditional venture capital, private equity, etc, etc, that have very large pools of money to invest. And they see this as just another angle on good sound investing. And so just any sort of checks from larger, more institutional investors, I think will be a good signal. And the more of those investors that are the larger the checks, of course, that’s even better signal. I think we realistically knew that because this is new because it’s a, you know, narrow niche of bootstrapping. It’s a different investment thesis, it’s a different return model, we kind of had a hunch that it would be people who get it that invest first and that has played out. And I believe as this becomes more commonly known as we see good results as we make good investments. If we are successful, it will break out of that group of people that you know, inherently get what it means to aim at profitability versus aiming at growth. This hasbeen great, guys, thank you so much for taking the time today and sharing about this. We’re excited to follow the earnest capital journey. Tyler will start with you if people want to learn more about you or Ernest capital, where should they go? So I mean, Earnestcapital.com is the best place to find us where earn “E-A-R-N” like earning money. Yep. So we’re the same on Twitter. Those are the two best places to keep in touch and similarly on Tyler train guess both on on Twitter and tylertringas.com as well. And Kevin, if people want to learn more about you or the work that you do at sure swift where should they go? so Jay we just spoke with Kevin and Tyler of SureSwift and Earnest Capital respectively. Another one in our series of alternative financings. What are you thinking? What are your hot takes or lukewarm takes or freezing cold takes? Really whatever takes you got for me? on average? Celsius or Fahrenheit? Kelvin? I’ll go Fahrenheit cuz I don’t know what a Kelvin is. So if zero is freezing cold or 32, is freezing cold and to 12? is boiling hot? I’d say you’re like a solid balmy 66. Seems low. Seems low. All right. Then again, I don’t know if we want really hot takes Do we want hot takes in the world of hot takes? What what do you want? Do you want to be hotter or colder? In the world of hot takes? I think you want to be hotter? Okay, so that was it was an insult. But if I was going to be serious, I’d say your takes on average are like somewhere around, you know, 104 degrees. I think that’s about fair, warm enough. Like if I was going to put some j style takes in my tea. I would be like, well, this is warm, but it could be warmer. Okay, okay. Well, this is one of those conversations that throughout it, I felt myself getting a lot of energy. Like I was almost bouncing over here on this stool with how in agreement, I was on a lot of the things that Kevin and Tyler said, from an ego standpoint, from an idea of aligning the investors with the founders. And even though I had a little bit of the voice in the back of my head that I feel like I’ve been honing on the show a little bit of seems like there’s money being left on the table, like there’s part of that in the back of my head, like seems like you’re probably leaving some money on the table as an investor. I think it’s okay, because that voice that saying I think there’s some money on the table is exactly the voice of what brings investors and founders out of alignment, which is exactly what they’re saying Ernest capital was built to not do. I love the idea of open sourcing the shared earnings agreement and getting lots of comments on it from the community. I love that the two of these guys have this partnership that was born out of Tyler’s company being sold to Kevin’s company. So like they they did the first version of this in a way. What did you think? I would agree with all of those points, I as you know, love great incentive alignment. So whenever incentives are aligned, I think that that is there’s a great monger quote about that, that I’ll definitely botch if I tried to do it. So I’ll do it anyway, I think it’s something along the lines of study the incentives, and nothing else matters or study the incentives. And I can tell you the result, something along those lines. And I think the incentives here are really lined up well. And I think when you look at the other side of the table at VC incentives, those can be a bit skewed. And you see some of the results of that skewedness. Kevin brought something up that really stuck with me, when he was talking about the story that’s not told a lot of times in venture is the story of the teams and the employees of these companies that are forced into a high growth trajectory, then that company, quote, fails because it didn’t reach the high growth potential. And those employees are sort of the casualty to that. And I saw that I kind of experienced that when I was at cross checks. Now all of still existing still still trying to get to their billion dollar outcome. At one point, you know, we were post series C, and we came in one Monday morning, and we’re told that 20% of the company was going to be let go. And they were that day. And it was a strange, hard, surreal day experience in the fall out of that was also really weird, because suddenly a lot of the people that you were very close to or just gone, it felt a lot like what I would imagine talking somebody out of breaking up with you felt like when you were still there, like it didn’t quite feel cool. And that’s that’s very much a reality for a lot of these companies. And something you know, I think there’s a lot that people talk about what the future of work. And I think Kevin is in the middle of this, I know you’re interested in talking to a more about it, a lot of that comes from the standpoint of loyalty between it employee and company. And things like that are what spurred a movement away from loyalty between those two parties. I’ve heard before just talking to some people who have been in business who started businesses, not your startup type businesses, but you know, a company that you’re starting x, I’m talking specifically about a company in Cleveland, Ohio, where whenever someone started a company, and he started, I think it’s something like 18 companies at this point, you know, your local dry, cleaner, whatever, you always gives 40% equity away, because it aligns incentives better. And I think that kind of gets to this gap between All right, I’m the employer, you’re the employee now. It’s like, Hey, we’re all thinking with the shareholders mindset. How can we make this better, which I think is fascinating. And one other thing I wanted to touch on, as you talked about when these companies fail, employees can be casualties? That’s a harsh word. But yeah, sure, we’ll go with casualties. I think they can also be victims when companies succeed, even founders. So if we look at the box IPO IPO for over a billion dollars, huge company, right. But because of this, like late stage capital that keeps on coming in diluting the earliest people, I had just heard this on the papers podcast where the CEO of box, The New York Times is going to do this piece on him and how rich he’s going to be now that he’s I they’re getting IP owed. And the number was still very large. It was I mean, I’m 50 million hundred million dollars or something like that. But they were shocked by how little it was how little of the company on he only like 4.9% of the company because there was so many rounds of financing that diluted him down because that’s what you need in today’s like venture capital environment, the lift founders, for example, I think they own under 10% of their company, because the you have this huge money moving. And that’s just like changing the incentives. So yes, you’re going to own 10% of 100 billion dollar company. And that’s awesome. That’s amazing, right? Like, that sounds like a big win. But there’s also like the flip side where so I think Andy spark said it best in our or he was might have been quoting someone in our panel where he said that VC kills more companies that and creates a lot more people are ending up on your side of the fence as opposed to what I was just talking about. And you’re talking about the founders. I mean, I’ve good friends who were fairly early employees of Uber, for example, waiting for the IPO to see if their stock options were tasty, little bonus. But as more and more time passed, and they were working in this toxic company that was burning them out. And they weren’t sure if and when it was ever going to IPO and what that value would even be when it did. That sounded like a nightmare to me. Yeah. And then once it happens, you have a six month lockup on the IPO. So you have to stay around, and then everyone sells their shares six months in, so the stock crashes, and it’s worth less than you thought it was anyway. we could probably spend a whole nother 30 minutes talking about both shirts with capital, which I think is a fascinating model. And I really like the ethos of that business, as well as earnest capital. But I want to spend a little bit of time comparing this with a previous conversation we had with Rob walling in tiny seed, do you think that just gonna put you on the house? But do you think that earnest capital can work? Yeah, I mean, I think it could work, it’s going to come down to failure rates, right? And what what is the return I’m getting on my investing as an investor, because there are people like Kevin, who are driven by this mission. And it sounds like most of his LPs are driven by this mission. And that’ll get you through fun. One may be fun, too. But eventually, they’re going to have to be returns if this type of investing is going to take off because earnest capital can’t be just earnest capital and be the only people doing this, there will be copycat funds, there will be people who come in with a very similar thing, or take his agreement and say, we’re going to do the same thing. But we’re going to do it in this specific space, maybe we’ll do an immediate, maybe we’ll do it in sports, maybe we’ll do it and whatever. But that’s only going to work if you can prove that this community, this mentorship, everything that they’re doing actually leads to lower failure rates, because that’s going to need to balance out when you’re not hitting these 10 x type deals. Yeah, I agree. They’re going to have to show that the model works. Something else that kept popping up to the interview with that voice that said, you might be leaving some on the table. I kept thinking, well, if I’m an LP, why wouldn’t I invest in something that seems to have a more sure model of returns and has the kind of big and boom and bust type returns? Am I really going to buy into this aggregate fewer failure, similar returns profile model. And at the end of the day, they need what a couple dozen LPs to keep doing this fund after fund, you can probably find those people, and especially if it is ethos aligned, you can probably find those people But to your point, I wasn’t thinking about the copycat funds. So they will have to prove that they can defensively continue to pick good companies and attract good companies because if somebody copycats this, it has a stronger pool of mentors or a more specialized pool of mentors, as a bootstrapped founder and probably going to go there. You know, if I’m building a b2b SAS company, I might be looking at what Rob’s doing. So be interesting to see how this plays out. Like we said in the intro, not a lot of companies playing in this this type of financing space that we’re aware ofyet. And it’s kind of fun to have a front seat to this grand experiment in real time. We talk about it all the time innovating, on structure is harder than innovating on content. And I love when we get to check out these type of financings because they are innovating on structure, which is hard and unique. Alright guys, I’m sure you guys have a lot of thoughts to, we’d love to hear him. You can tweet at us at upside FM or email us hello@upside.fm. If you’re aware of more companies playing in the alternative financing space, we’d love to hear about them. That’s another thing that you can email to us Hello upside.fm or tweet at us at upside FM. We’ll talk to you next week. That’s all for this week. Thanks for listening. We’d love to hear your thoughts on today’s guest. So shoot us an email at hello@upside.fm. or find us on Twitter at upside FM. We’ll be back here next week at the same time talking to another founder and our quest to find upside outside of Silicon Valley. If you or someone you know would make a good guest for our show, please email us or find us on Twitter and let us know. And if you love our show, please leave us a review in iTunes. That goes a long way in helping us spread the word and continue to help bring high quality guests to the show. Eric and I decided there are a couple things we wanted to share with you at the end of the podcast. And so here we go. Eric Hornung and Jay Clouse are the founding partners of the upside podcast. At the time of this recording, we do not own equity or other financial interest in the companies which appear on this show. All opinions expressed by podcast participants are solely their own opinion and do not reflect the opinions of death and Phelps LLC and its affiliates on your collective LLC and its affiliates, or any entity which employs This podcast is for informational purposes only and should not be relied upon as a basis for investment decisions. We have not considered your specific financial situation nor provided any investment advice on the show. Thanks for listening and we’ll talk to you next week. Tyler Tringas is the General Partner at Earnest Capital. Earnest Capital provides early-stage funding, resources and a network of experienced advisors to bootstrappers, indie hackers, makers and real businesses. They offer an innovative investment structure aligned with founders and businesses that want to accelerate now and ultimately become a profitable sustainable business. They never want you to need to raise another round of funding and you’ll never be forced to exit. 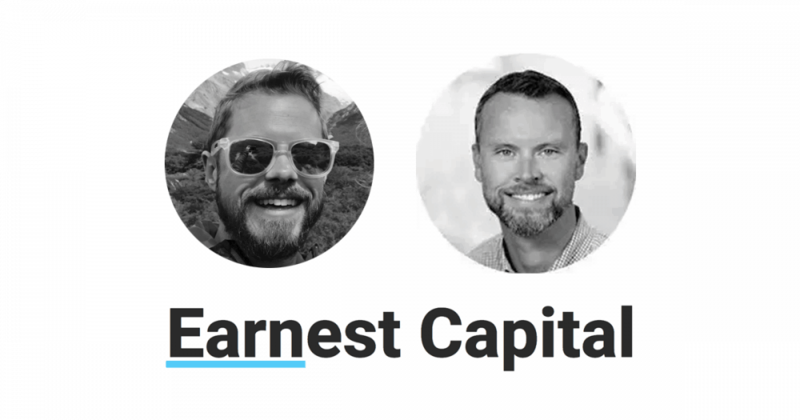 Earnest Capital is a collaboration between Tyler Tringas and SureSwift Capital and was founded in 2018. Kevin McArdle is the Co-Founder and CEO of Sureswift Capital. SureSwift is a holding company that actively invests in, and holds on to emerging media and SaaS properties with the intent to provide exceptional value to existing and future clients. We are a team of 75+ remote individuals in 14 times zones. SureSwift was founded in 2015 and based in Minneapolis, Minnesota.